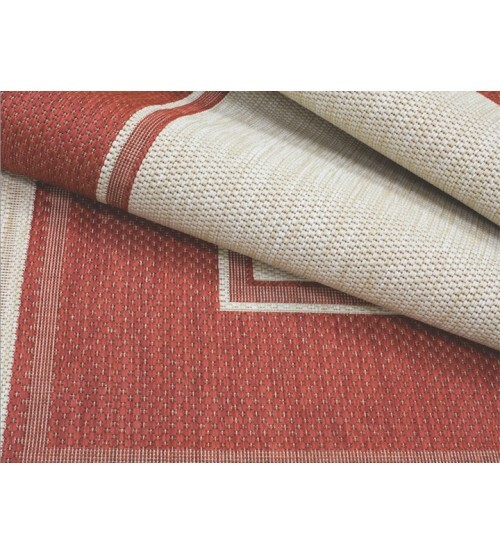 Spice up your patio with Treasure Garden's Redwood Lodge outdoor rug. 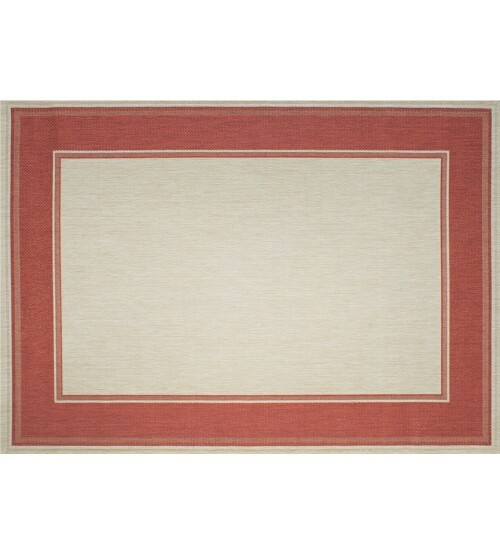 Crafted in neutral tan and vibrant redwood, this rug easily pairs with other earthly tones or can be contrasted with vibrant splashes of color, making it one of the most versatile outdoor rugs. Your feet and patio will thank you for the sophistication, comfort, and aesthetics the Redwood Lodge will bring. Decorating your patio from the floor up will not only provide colorful accents to liven up your outdoor (or indoor) haven but also will provide comfort for your feet and the perfect base for dining and chat sets. This outdoor patio accessory turned necessity will bring that desired homey feel to your patio all year long.Treasure Garden exclusive and popular Silver Collection is made from 100% polypropylene, this rug is designed for durability and comfort, all-weather construction, that are stain and soil resistant with UV stabilizers providing a colorfast, anti-static, and mildew-resistant rug to last and provide excellent value. Available in two sizes: 5'3" x 7'4" or 7'10" x 10'.